Clara Rauchegger is a Max Weber Postdoctoral Fellow at the Law Department of the European University Institute, a research associate at the Department of European Law and Public International Law of the University of Innsbruck and an Erwin Schrödinger Fellow of the Austrian Science Fund. She holds a PhD in EU Law from the University of Cambridge, where she was a scholar of the Austrian Academy of Sciences and the UK Arts & Humanities Research Council. At Cambridge, she also served as Managing Editor of the Cambridge International Law Journal. 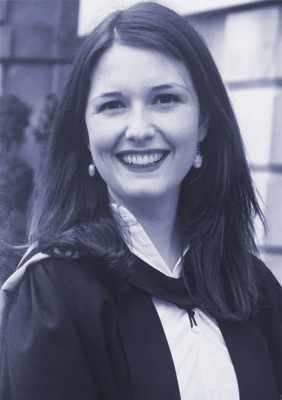 Clara further holds an LLM in EU Law from the University of Cambridge (First Class Honours) and Magister degrees in Law and in French from the University of Innsbruck (both with Distinction). Prior to the PhD, she worked at the Representation of Tyrol to the EU, the European Parliament and the Court of Justice of the EU. Clara’s research interests lie at the intersections of EU and domestic constitutional law, with a particular focus on fundamental rights protection. She examines the interaction between the EU Charter of Fundamental Rights and the constitutional rights of the EU Member States. Her current research project, funded by the Austrian Science Fund, focuses on the enforcement of the Charter by national constitutional courts. It employs traditional legal methods as well as socio-legal methods, in particular qualitative interviewing. Clara is also conducting a number of projects at the intersection of EU law and computer science. She is specifically interested in the protection of fundamental rights in the digital context and in the automated processing of textual content for the analysis of judgments.